Do you have a plan for life? Think back on your life and how you arrived at where you are today. Did you envision where you wanted to be and then map out a strategy for getting there? Or, have you bounced around like a bumper car from one thing to the next? New research shows that only 15 per cent of adults have a written plan for their life. But what if you believe that you have more to offer? Much more. 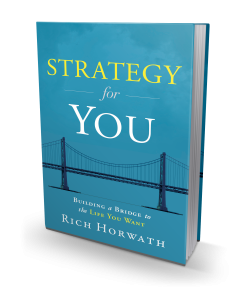 In this book, world-renowned business strategist Rich Horwath provides a five-step plan for building a bridge to the life you want. Using the foundational principles of business strategy, Horwath lays out the five steps you can take to create a more fulfilling and successful life: Discover: Uncover your purpose through insight; Differentiate: Identify your unique strengths; Decide: Allocate your resources; Design: Develop your action plan; and, Drive: Execute your plan. The book gives you the opportunity to maximise your true potential at work and at home. Are you ready to build a bridge to the life you want. 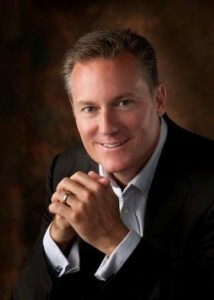 Rich Horwath is a strategist, author, and speaker committed to helping people think strategically to live profitably. He is a former chief strategy officer, professor of management and founder of the Strategic Thinking Institute. His strategy consulting, training and speaking work with world-class organizations has been profiled by Investor’s Business Daily, NBC and FOX. He lives in Barrington Hills, Illinois with his wife and two children.